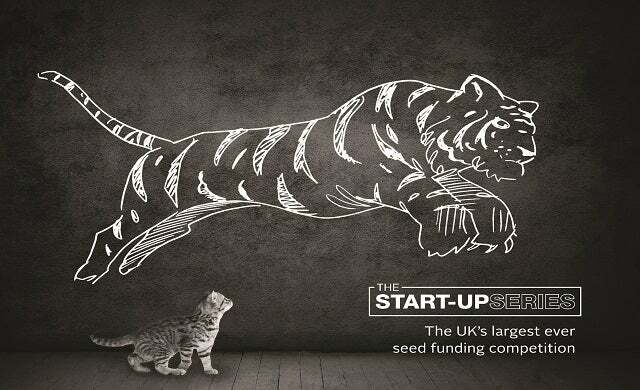 The UK’s largest ever seed funding search competition – The Start-Up Series – is now open for entries for April! Winners will qualify for funding from a regulated fund created by Worth Capital & Amersham Investment Management which invests in SEIS & EIS eligible businesses. To help support early-stage UK businesses secure the seed funding they need to get their idea off the ground, the competition is accepting entries from both business-to-consumer (B2C) and business-to-business (B2B) start-ups. Launched by Startups.co.uk in partnership with investment promoters Worth Capital, The Start-Up Series is a series of monthly competitions. Every month, one start-up will be selected to be put forward for £150,000-£250,000 of seed funding – subject to terms – from Worth Capital, and will also win press coverage on Startups.co.uk. The latest Start-Up Series competition runs from Monday 1 April 2019 to Sunday 14 April 2019. Enter NOW! The investment comes from a dedicated EIS & SEIS fund, launched specifically to back the qualified winners of the series of competitions. Worth Capital has a proven track record in helping new entrepreneurs obtain funds and expertise to help turn their ideas into successful, sustainable businesses. Worth Capital founders Paul Soanes and Matthew Cushen are brand, retail and innovation experts and experienced angel investors with over 40 seed investments between then. Who is eligible for the April Start-Up Series? The Start-Up Series is for early-stage & growth businesses. You must be a UK resident and run a UK-based business. You must be over 18 years-old at the time of entry. Certain financial services and property businesses are unlikely to qualify. Why should I apply for the April Start-Up Series competition? Media coverage: Winning a high profile competition and the exposure that generates is good when talking to customers, potential employees and future investors. Read this interview with December 2016 winner Not Dogs, one year on from winning, on how The Start-Up Series has helped their business. How can I apply for The Start-Up Series? The latest competition window is Monday 1 April 2019 to Sunday 14 April 2019. You can register your interest on The Start-Up Series website and then you will be contacted by email and provided with a link to the competition application form. The initial application is very simple and quick, just a few details and a two-minute video or two-page document. If you are successful in getting to the next round, you’ll be asked for some more information. For a detailed timeline of how the application process works, click here. Entrants will be sourced and promoted by Startups.co.uk and every winner will be chosen by Worth Capital. Funding of the winner will be subject to satisfactory completion of due diligence and approval by the fund’s investment manager. Who are the winners of The Start-Up Series competition so far? To find out more about our winners, their experience of the competition process and what winning up to £250,000 – plus business support and media coverage – meant to them, click here. So what are you waiting for? Enter your business for the April Start-Up Series competition here. Applications close at midnight on Sunday 14 April.